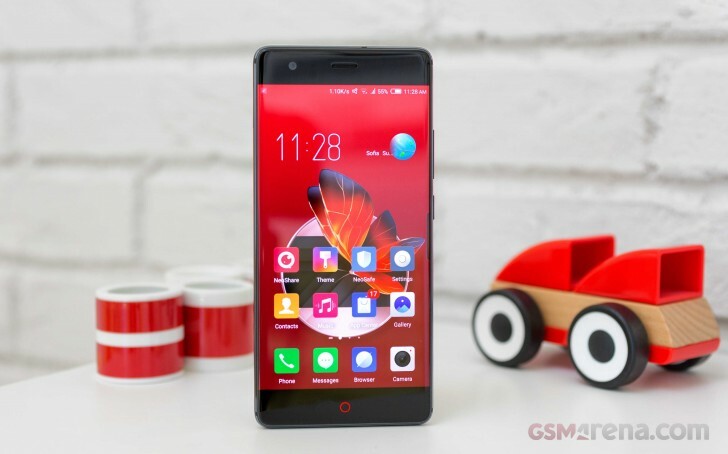 The ZTE nubia Z17 went on sale in July with with the ample 6 GB RAM and 64 GB storage, but a new more premium version now arrives for those that find that inadequate. An 8 GB RAM variant is available for pre-order, priced are between $480 and $600, pushing the phone in the ballpark of OnePlus 5 and the LG G6. Pre-orders for the new nubia Z17 begin on August 21 and will last until August 28. That day the nubia Z17 starts shipping and will also be available for direct purchase. If the device is purchased until August 28, you can get presents like a 10,000 mAh power bank, ZTE headphones or vouchers. The price for the 8 GB + 64 GB version is CNY3,399 ($479) while the 8 GB + 128 GB costs CNY3,999 ($599). The phone is available on the official nubia website and JD.com, meaning it is only available in China for now. There is no information yet whether the nubia Z17 will make it abroad. "The phone is available on the official nubia website and JD.com, meaning it is only available in China for now. There is no information yet whether the nubia Z17 will make it abroad," lol pointless. I haven't seen a good way to install Google play, otherwise, this is a good phone.